In August I took the query webinar offered by Sara Megibow, called “Ten Queries In Ten Tweets ” which aimed to show the “behind-the-scenes” on the way agents look at queries. One of the main points of the webinar? Behind the scenes: Sara gets a lot of queries. A lot. She devotes about one minute to each query, and needs to decide very fast. She mentioned that the majority of her time is spent working for her clients. That makes a lot of sense and her dedication/enthusiasm for her clients is clear. She mentioned at some point that she receives about 150 queries a day. Last year, she signed 9 clients. So it looks the odds are not in our favor. But most of her clients come from the slush pile, so it IS possible! And….she also pointed out that the queries looked at during the webinar were good. There are many times when the queries she receives are not a fit for agency, for genres they don´t represent or the writer makes mistakes that are easily avoidable. Always remember: the query is a mirror of the manuscript in the eye of the agent. Not too much focus on background story: Where does the book move forward to? For example: a dad announces that the family moves to a new place. This is not the incident, it´s the announcement to the incident. What happens then? This should be the focus! Internal and external conflict: There needs to be a balance. Even though there can be an emphasis on internal conflict, there still needs to be something moving the plot forward. Organic world-building: If you´re querying a fantasy, sci-fi….the world-building needs to be an inherent part of the query and the link between the world and the plot needs to be smooth. How to polish the pitch/query? Talk about your book to your plants, kids, significant others, computer…Talk about your book. A. Lot. Think about being an elevator with a film producer and you have to tell him/her what your book´s about. Read back covers of books. Go back to your manuscript and list the plot points. 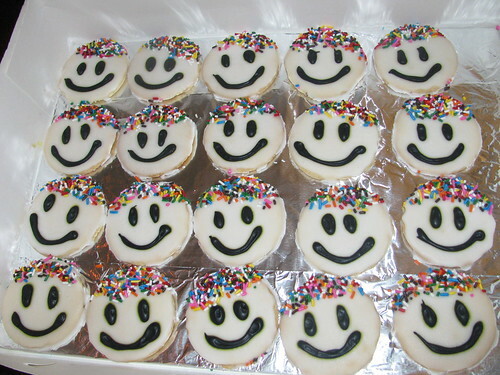 I know it´s a LONG post…here have a cookie! Disclaimer: of course, I dreamed that Sara would love my query, send me an email requesting pages, the full and then offer me representation…Didn´t happen but it could in the future since a pass during the webinar isn´t a “pass, pass”. The query I sent Sara for this webinar received this feedback: Pass. Contemporary young adult. Solid story, but writing isn’t as strong as I’d like and the heroine has a prickly attitude which might make her hard to connect with. It focused too much on backstory = writing isn´t as strong. And you know what? This query was written before two of my major revisions for my manuscript. Sara emphasized several times during the webinar that the query is usually a reflection of the manuscript. Not always and she did pass on projects which ended up being very successful but she looks for books to sell, not books to work on. My revisions took care of the points she mentioned (which my CP and my beta readers also pointed out…). My novel is much stronger now than then. Sara doesn´t mind queries written in first person. She signed Miranda Kenneally based on her query for CATCHING JORDAN which was written from Jordan´s perspective (you can read the query on YA Highway). How soon does she want to see the enticing incident in the book? Within the first 5 to 10 pages. Do you send the prologue in the sample pages? If Sara asks for pages, yes the prologue needs to be included. Comparable titles in the query? It´s helpful but not something Sara concentrates on. She focuses on STRONG writing. Someone asked about “dead” genres and she emphasized that she can still sell stories. Mermaid (or others) stories may be over-represented but if your concept is unique enough and the query shows strong writing, that wouldn´t prevent her from requesting pages. Sara repeated this several times: KEEP READING AND KEEP WRITING! I know this post was SUPER long but hope it was useful/helpful! Love insights like this. Especially from such an amazing agent like Sara. Thanks for sharing! I really enjoyed reading this. Thanks for sharing, Elodie. Thanks so much for sharing what you learned. Very insightful. I’m glad you were able to get so much out of this experience. Good luck querying. These insights are useful, and certainly help us to reflect on our work and how we can make it better. Ultimately, though, the more I read agent advice, the more convinced I am that their approach to querying is much like how we approach reading books. We have our ideas of what “works” for us, and often the books we like most are the ones that fit our favourite genres, styles, point of view, etc. But now and again we read books outside our comfort zone, and really like them. The horror novel we can’t put down, the romance novel that has us thinking about the fate of the heroes long after the story’s over, and so on. Yes, there are general principles when it comes to writing queries, and each agent will have their preferences. But when it comes down to it, if the query really captures the agent’s imagination, everything else will go out the window. I follow Sara on Twitter and always look to Friday’s Tweets. Thanks so much for sharing insight from the webinar. Thanks for sharing this! I love her 10 queries in 10 tweets hash tag. I’ll keep all of this in mind as I begin querying (hopefully next month). Hopefully the inciting incident within the first 5-10 pages isn’t a deal breaker because mine is on page 18-20! Excellent advice! And even though I’m not querying, the point about the inciting incident early on is useful. In my WIP, it happens way later. When I get to revising (a loooong time from now), that is going to have to change! I took a query webinar from Sara about a year and a half ago. It was incredible! She gives such great information! Great insights! I accidentally queried Ms. Megibow twice for the same book last year. Her agency announced they’d lost thousands of e-mails sent around the same time I sent my query, so I sent a completely reworked query some months later, and was rejected, only to later find a previous rejection I just hadn’t seen in my inbox. I don’t think it would’ve been a good fit now anyway, since it’s a quieter, more character-based story, and of saga length. You can definitely see your enthusiasm within the article you write. The world hopes for more passionate writers like you who aren’t afraid to mention how they believe. All the time follow your heart.